Denmark has taken a bold new step in its efforts to combat the influx of illegal aliens: send them to a remote island! While this may seem like a fantasy to many of us – sending criminals off to a deserted isle and away from the rest of society – the Danes are making this fantasy island a reality. And, of course, not everyone is happy about it. It’s important to make clear that this is not for illegal immigrants going into the country; only for those who have committed criminal acts or who are rejected asylum-seekers that for some reason cannot be deported. Martin Henriksen of the anti-immigration Danish People’s Party (DF) said the government’s plan “is a signal to the world that Denmark is not attractive” for migrants. Obviously, bleeding-heart protesters consider this move inhumane and are trying to fight the plan, but Denmark’s politicians are firm on their promise to remove illegal aliens, especially those with criminal backgrounds. So, what would life on Lindholm Island be like for the migrants? The 17-acre island is about two miles from the nearest shore in an inlet of the Baltic Sea. The inhabitants will not be stranded there like the hapless cast from Gilligan’s Island, but they will be required to report to the center daily or face imprisonment. A ferry service will be available to take them to and from the island, but the service will be infrequent. Finance Minister Kristian Jensen said while they are not actually prisoners and the island is not a prison, placement there will help control the criminal alien population. Denmark has taken an aggressive stance on immigration for some time now. To tighten its immigration laws, the country has extended waiting time for family members from one year to three years before they can join a refugee, shortened temporary residence permits, and reduced benefits for asylum-seekers. In 2016, the country added a law that allowed authorities to seize valuables from illegal immigrants to help pay for their costs to stay in the country. Danish citizens can also be penalized and must sell any valuables worth more than 10,000 kroner ($1,520) before they can receive welfare benefits. 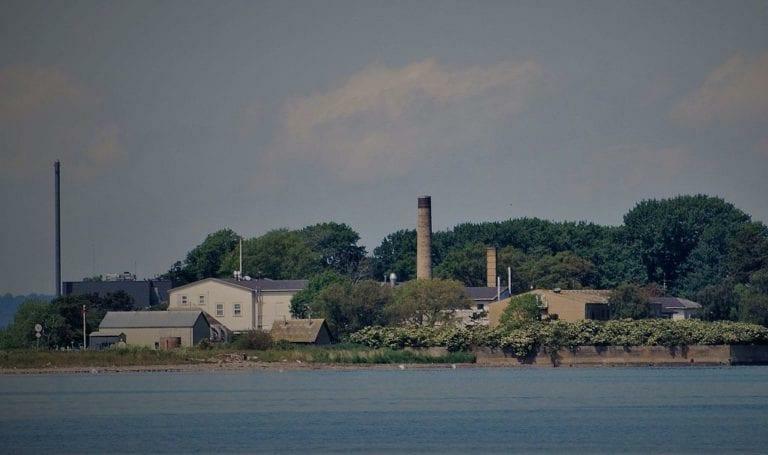 From 1926 until earlier this year, Lindholm Island was the site of laboratory facilities to research contagious animal diseases. Cattle and pigs thought to be infected were taken to the island for testing. The island and facilities are to be decontaminated by 2019, and by 2021 the area will open to about 100 migrants.